iOS: Requires iOS 9.0 or later. Compatible with iPhone, iPad, and iPod touch. Requires iOS 10.0 or later to use touch ID within the application. Android: OS Android 5.0 or newer. Fill in your information and follow the onscreen prompts. Within the next 24-hours, you will be sent an email to verify your email address. 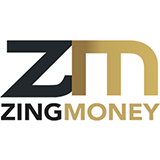 In the Zing Money mobile app, tap More and tap Log Out. View the email from your smartphone. In the email, tap Confirm Email to finish the verification process. Open the mobile app and log in again. You’re all set!